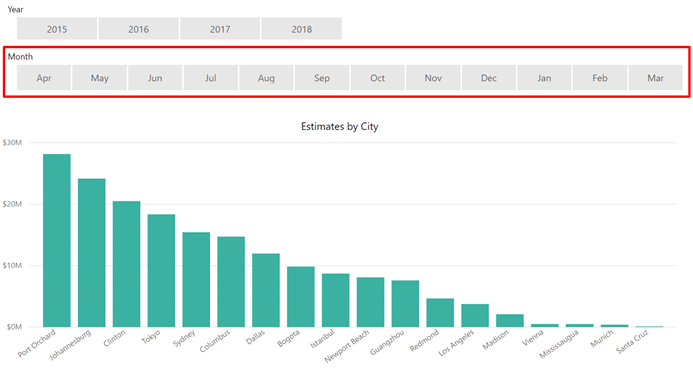 One of the questions we always ask when starting a new Power BI project is, “Does your organization follow the calendar year or a fiscal year?” It’s critical to know because it determines the outcome of the reports for the organization! The Power BI Desktop offers two functions to create a calendar table: Calendar and Autocalendar. These functions generate a single column, Date, in a new table. Typically, we then add other columns to the table, such as Year, Month, Quarter, Month Number, etc., in order to filter and sort data. Several options exist for creating the date/calendar table; in today’s blog, we’ll show how to use a DAX script to create a date/calendar table and then demonstrate how to achieve sorting by a fiscal year in slicer. Let’s use an example in which a company uses a fiscal year starting in April. The leadership team likes to see estimated sales in a column chart with a month slicer sorted by fiscal year, from April to March. 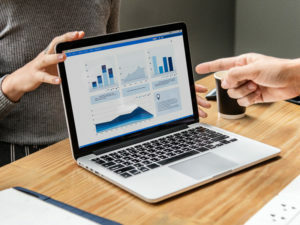 *Assumption: the steps to connect to data source(s) and importing data to Power BI Desktop are completed in advance. 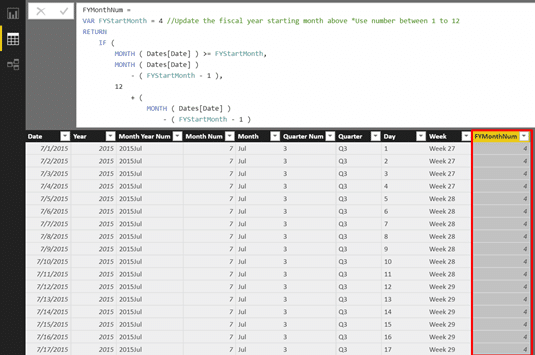 A common practice is to run either a pre-defined DAX or M script to create a custom date/calendar table in Power BI Desktop. In our example, we use a DAX script. It is important to note that we refrain from creating relationships between the date attributes in existing fact and/or dimensional tables in data sources to take advantages of the time intelligence functions and to optimize performance in Power BI. Select Modeling > New Table. Go to Modeling > New Column. As you can see above, the slicer lists Month in alphabetical order by default. We need to change the sort order to fiscal year with starting month of April. Click Data (table icon) in the left pane to display the “Dates” table. Click on Dates under FIELDS pane and select Month. Select Modeling > Sort by Column > FYMonthNum. Now the month slicer sorts by fiscal year starting in April! Changing it to, say, July is as simple as amending the DAX script to say VAR FYStartMonth = 7. Pretty slick, right? We hope you find this useful. 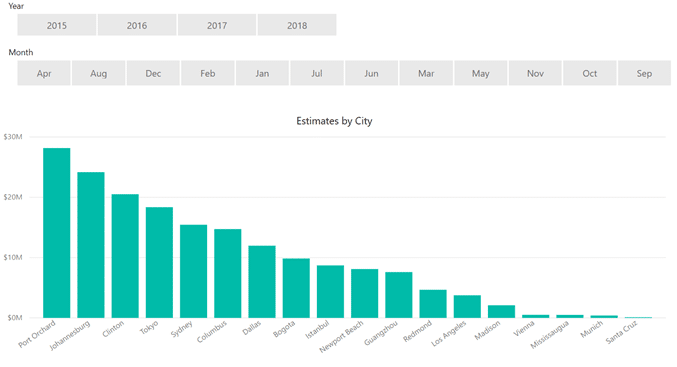 To maximize your investment in Dynamics 365 and related solutions, our Power BI experts can transform your siloed data into stunning, interactive visualizations in a single view so you can make insight-driven decisions anytime, from anywhere. Learn more about our Power BI services here.